Perfect spa gift for the person who needs everything! 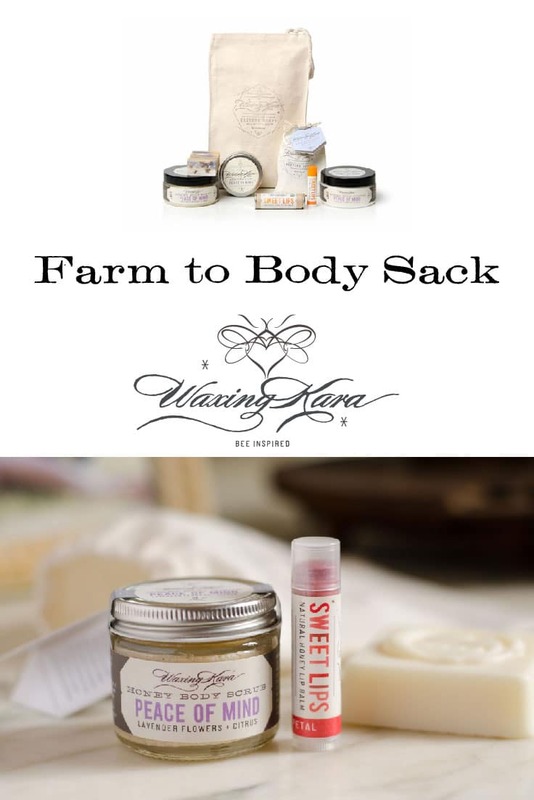 Our Farm to Body Sack makes a perfect gift for the person who needs everything! Packaged in a beautiful hand-stamped Waxing Kara cotton sack. Includes one sack with five full-sized products. Farm to Body Sack is a perfect peace offering. In the doghouse? This will get you out really quick. Unless you did something really bad and in that case, you should probably go see the jeweler. The reusable large organic cotton tote serves well as a lunch bag that can be used over and over again and the 5 products inside will bring peace and love. After all, they say “give and you shall receive”, this is a real win-win. For men and women. Men tend to like Strength while women enjoy Peace of Mind and Spa. Looking for sample-size products instead? Then try our Spa Bag or our Medium Spa Bag. 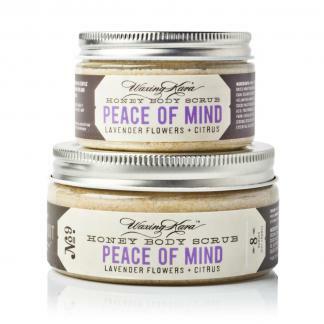 Honey Scrub and Butter to exfoliate, renew, and moisturize the skin.